IDF General Gal Hirsch (Res.) 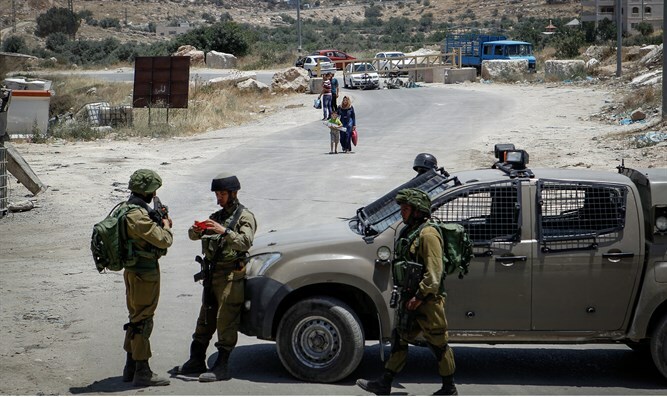 responded Tuesday morning to the arrest of a young Arab woman from the Palestinian Authority-controlled village of Nabi Salih who was filmed physically and verbally assaulting IDF soldiers stationed in the village. “We value the restraint of the soldiers, but this, too, has a limit. It's good to remain calm, cool, and collected - but there's also a need to identify the point at which things have gone too far. Pepper spray the attacker’s face, force him to the ground, cuff him and arrest him - everything said here about males applies equally to females,” Hirsh added. The IDF this morning arrested a young Arab woman from the village of Nabi Salih near Ramallah, after footage emerged showing the woman harassing IDF soldiers stationed in the village during riots last Friday. The young woman, identified as Ahad Tamimi of Nabi Salih, can be seen, along with other members of her family, pushing, kicking, and shouting at the IDF soldiers. Tamimi even slaps one of the soldiers in the face. The Tamimi family has been known to harass soldiers in a similar fashion in the past, but no action has been taken to arrest any of them them until now.